A ToUcam Pro that already worked under Linux was reflashed to an SPC900 NC. The reflashed camera was placed at the Cassegrain focus of a Skymax 127 that was mounted on an iOptron Cube Pro, AZ, GOTO mount, with extra counterweight. 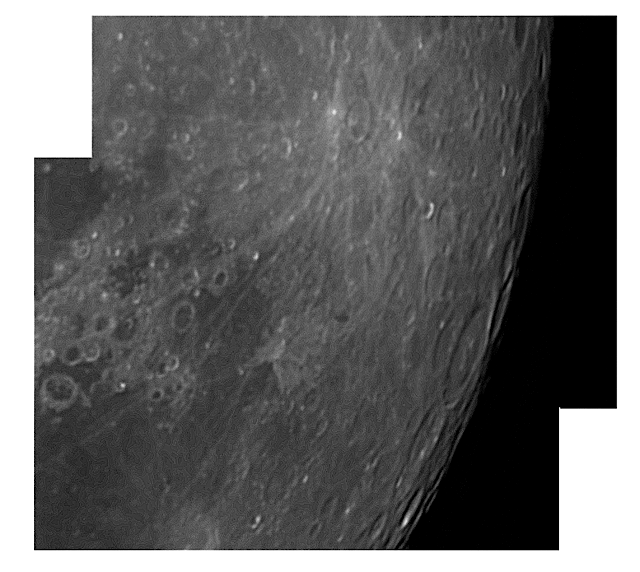 AstroDMx Capture for Linux was used to capture two, overlapping 1000 frame SER files of part of the Moon. The best 80% of the SER file images were stacked in Autostakkert! 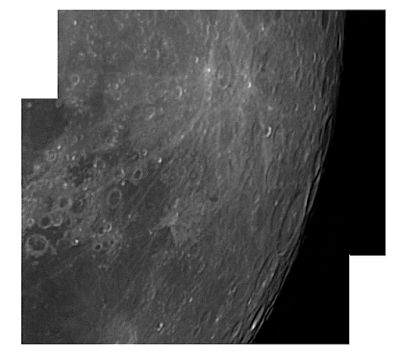 2.6, wavelet processed in Registax 5.1, buth running in Wine, The two resulting images were stitched in Hugin Panorama Creator. The final image was processed in the Gimp 2.9. The ToUcams and SPC900 NC are no longer supported by the latest Windows. However, with the latest versions of Linux, they are still usable devices.